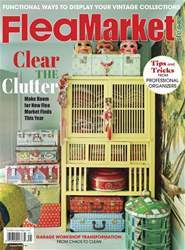 Reimagine your favorite flea-market finds and cherished pieces. 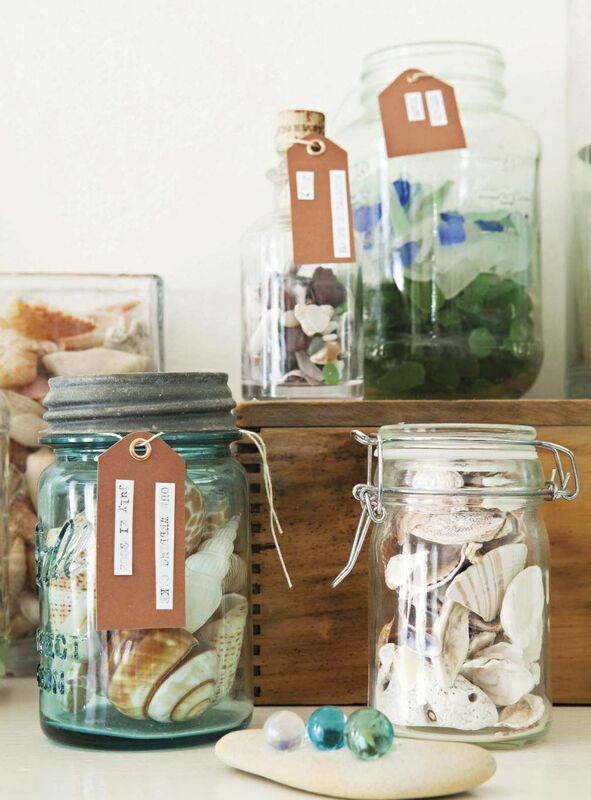 ANDREA USES VINTAGE MASON JARS to display her sea glass and seashell collections—a fun travel memento commemorating the locations Casey has chased the surf. AS SOON AS YOU ARRIVE AT THE FRONT DOOR OF THE FIGLEWICZ FAMILY’S COTTAGE, YOU REALIZE THAT THIS IS A SPECIAL HOME. The exterior of the 1915 house, a unique blend of Victorian and Craftsman architecture, is trimmed with a bright seafoam green, hinting at both the surfside appeal and the family’s creative style. 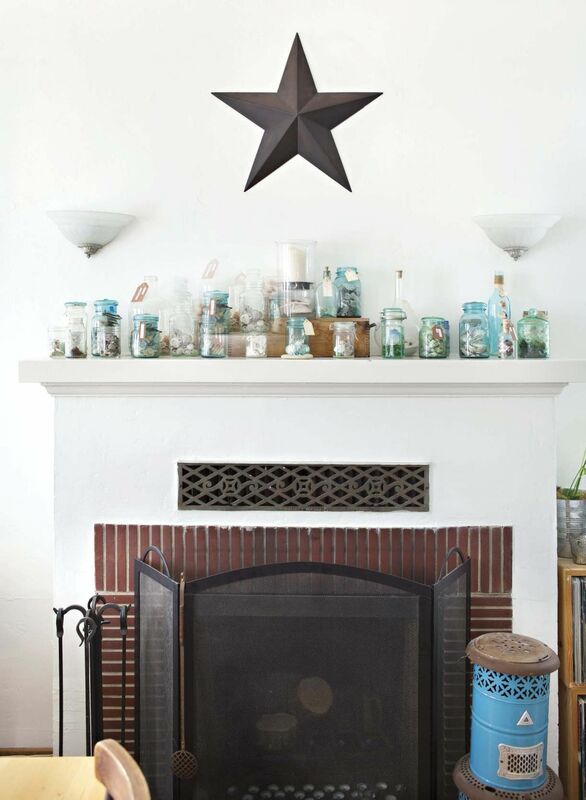 Inside, the décor is colorful and cozy, blending the best of beach and farmhouse elements into one comfortable and intriguing home.